Recently, help in the form of sets of baby clothes, children’s pyjamas, blankets, children’s beds and sterilizors for baby bottles was provided by Salem Social Village to a young mother who is coping with the serious responsibility of being a parent to a five month old baby who has been diagnosed with hydrocephalus (fluid on the brain). This young lady approached Salem Social Village in search of any available help and support as a single mother. Her daughter is still being kept in hospital and she is forced to spend the whole of each day there with her, so she simply has no available means to earn money to provide her baby with the normal basic items. Every available resource she has goes on medecine for her sick child. She was looking for any help she could find from the community and those she knew, and of course we, as a charitable organisation, couldn’t refuse this cry for help! 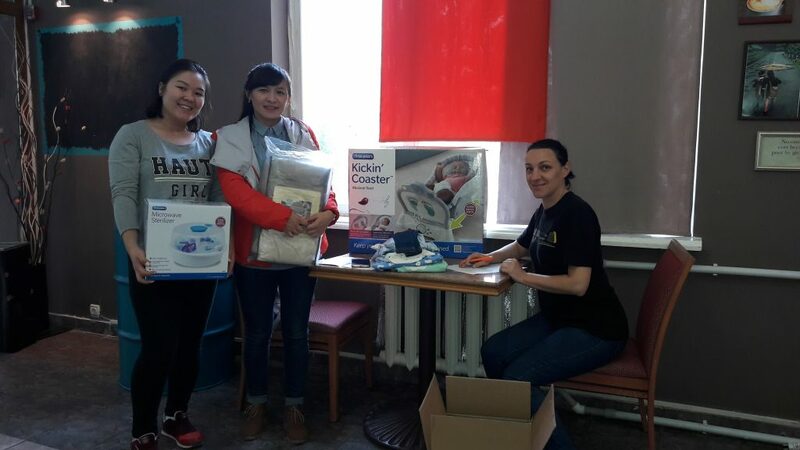 What a relief that we had some things, donated to us by Crossroads in Hong Kong, which could help this young mother, and take just a small part in relieving the intense pressure on this poor woman – surely one of the many heroic mothers of this country!